There was also one trick used: the door to nothing! 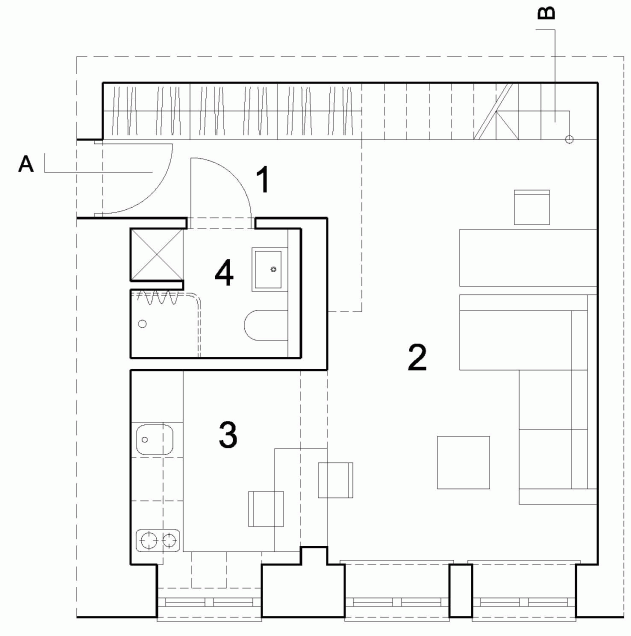 Interior for small spaces – a complicated task. 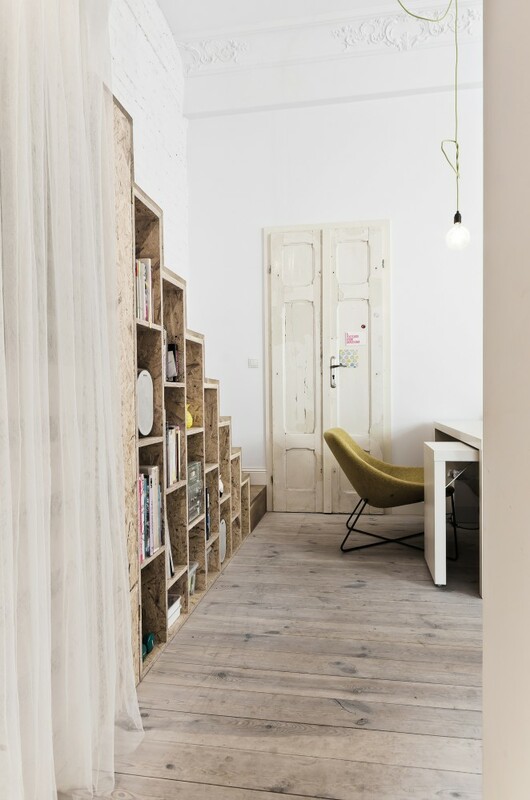 There is always a wish to use the space that you have without overloading the stuff, with keeping the impression of the space and seating all necessary functions. 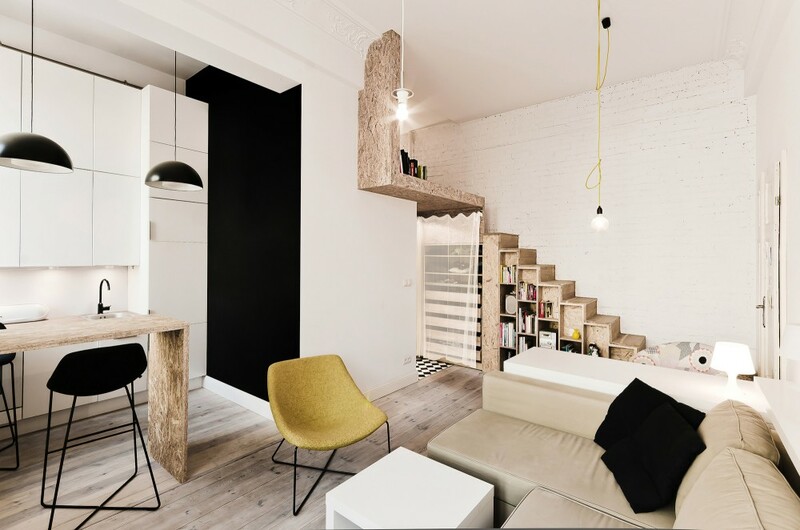 I didn’t manage to find a lot of information, but, as I predict, the residents of the flat were either a young family or a young person because the stylistics and solutions are really youthful. 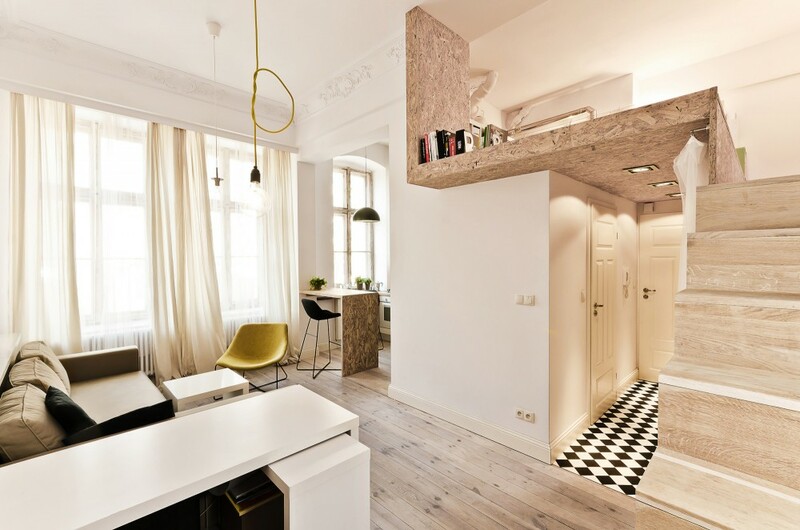 The width of this flat in Poland – just 29 sq.m! 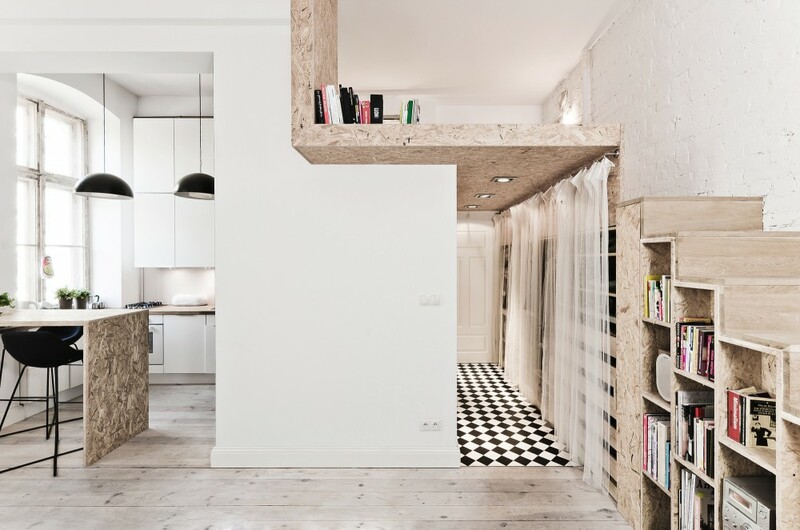 Therefore, in this case, a mezzanine helps a lot. It is usually designed for a bedroom as in this case. 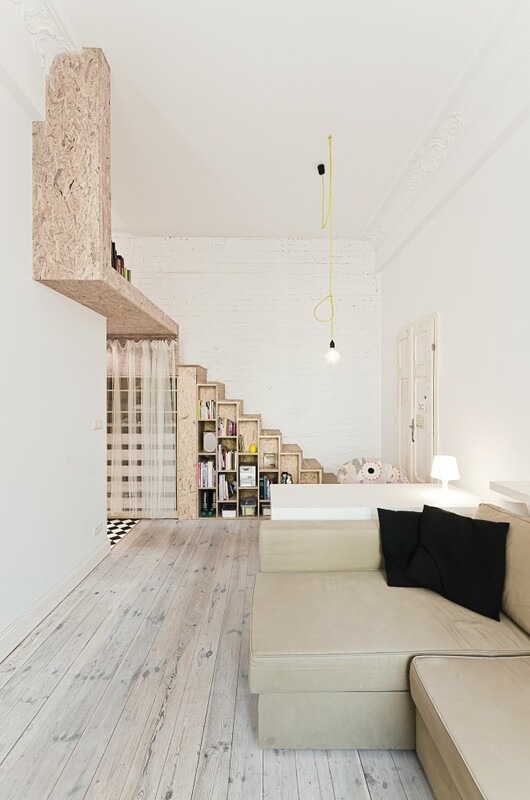 There was a wish to design a two-floor-space, but as long as the height of the ceiling is just 3.70 m, a “placing” just of a half of the floor was possible. 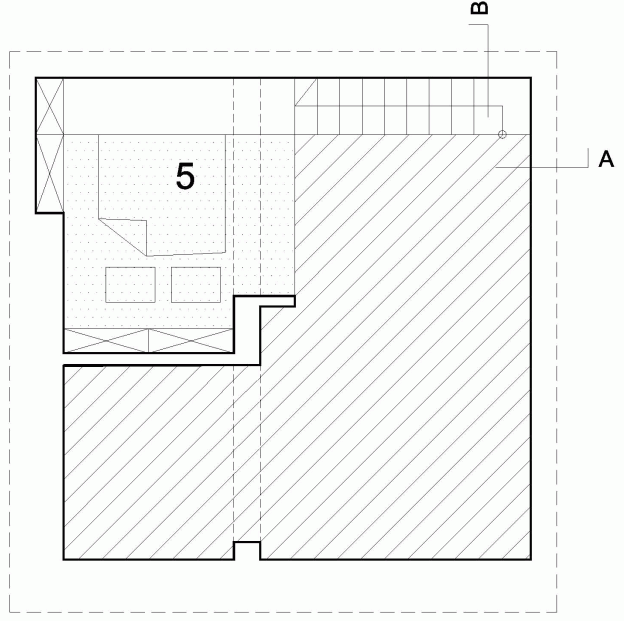 On this floor, as I have already mentioned, the bedroom with a 1.35-meter-high-ceilings is equipped. There was also one trick used: the door to nothing! 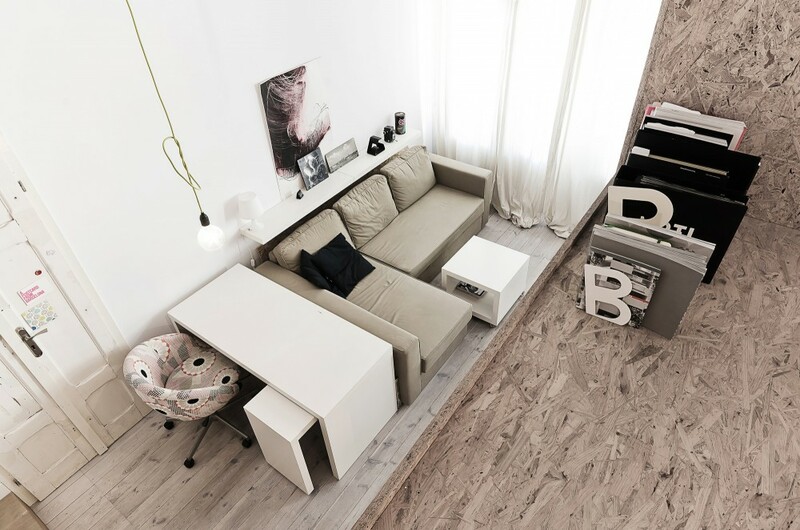 That deceives the eyes optically and lets one have the impression of a bigger space. 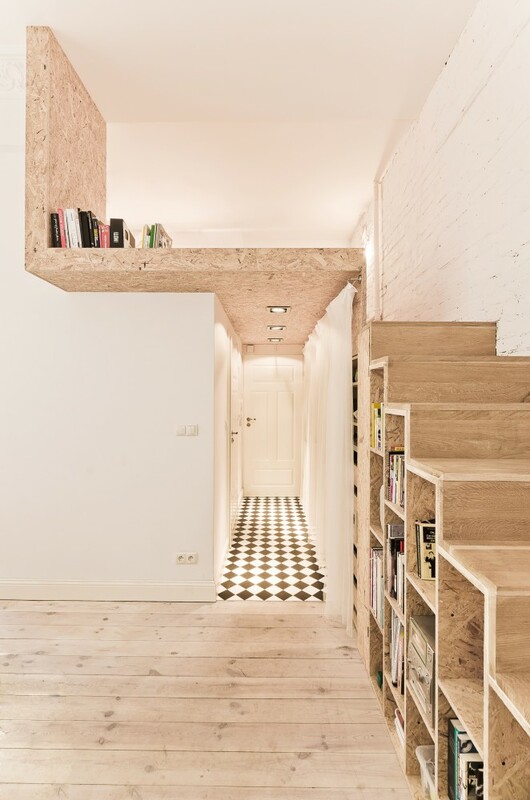 Well, I have no doubts that everything in this flat is solved in a particularly functional way (we see that the space under the stairs is used for the book shelves). The corridor wall, covered by curtains looks very original and light. Behind these curtains some stuff unattractive to any eye is hiding. It is a pity that there are no images of a WC, but I strongly believe that it doesn’t look any worse. 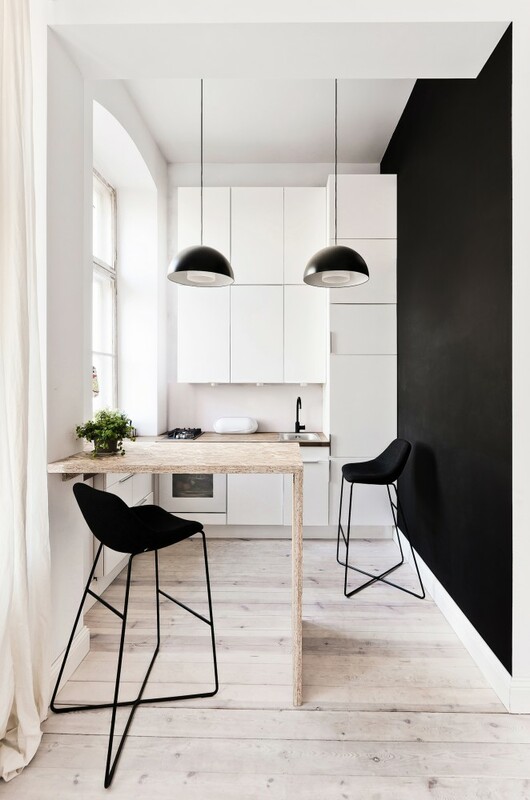 Well, concerning the coloring, we see that white and some bright shades fitted together with some bold accents (a mustard-color-chair, a black wall in the kitchen, a motley patterned floor in the corridor) help as always. The colors are just perfectly combined, there’s nothing to add or to take away!